this is more or less my first post on the forum. 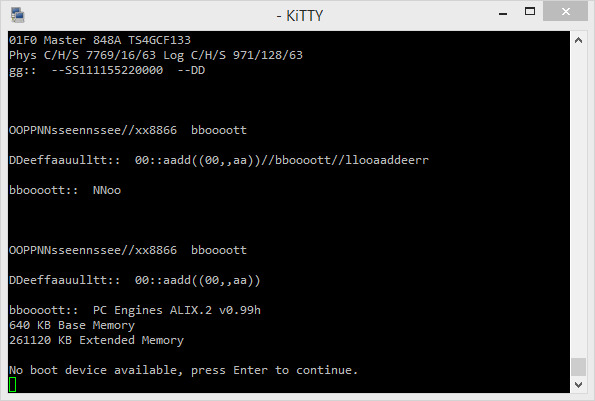 I've just installed a first ALIX with the latest "i386-nano.img". 46 MiB to be downloaded. Or am I with the wrong expectations? The smaller images are fragile like that: we've ran into all sorts of issues with low RAM + install and upgrades just because the base system grew by a large amount in an effort to get back to FreeBSDish freedom of how to use and deploy ones appliance. I'll provide bigger 15.7.8 nano images shortly after 15.7.8 is released later this week. We have a kernel patch coming up with 15.7.8 so that's got to be in there. Took a bit longer, but official images are up now!! I already have an Alix running OPNsense. Do I have to re-flash with this new image to get enhancements provided by it? If you don't have any issues you don't have to reflash. We've only pulled the old images because it had a few annoying problems that people would run into when the firmware wasn't upgraded. I have always problems while upgrading the kernel (not enough space). I need to reboot and then try the upgrade again. Once rebooted, the whole kernel upgrade always works. So I think that there is not enough space in the ram partition because of packages that were upgraded before. Maybe more stuff needs to be cleaned up? Here is the requested output. Note that the device is currently not in a state where kernel cannot be upgraded. Is this a 128 MB ALIX? This barely works. We've just updated the hardware specs and think that 512 MB the barrier where things just run all of the time (except for the installer on USB, but that is another story), everything below may fail due to OOM. If push comes to shove, 256 should also work, but 128 is too little to completely avoid it. Base and kernel update are 20MB and 40MB each. Packages vary from a few kilobytes but sum up up to 150MB, too. All this needs to be in RAM for SD/CF systems, so that's why it's just not "humanly" possible. I can also see that you're running the older 2GB nano image, we've since upgraded to 4GB (2GB slice internally), which gives enough room to grow and fetch updates onto the card, too (e.g. disabling the /var and /tmp MFS completely). I'm also going to split /var and /tmp toggle into individual options, because /tmp definitely makes sense, but /var is a challenge in itself. I recommend /tmp MFS, but not /var MFS. But anyway, sorry for the tangent there. I'd suggest re-flashing if you have a 4GB SD/CF card, disabling /tmp and /var MFS can help you with upgrades when it keeps failing then at least. It's a 256MB Alix. So from what I understand, I should consider an hardware upgrade . In the meantime, I will re-flash with the new image. Hmmm, any news on this? "pkg: Not enough space in /var/cache/pkg, needed 25 MiB available 5300 KiB"
How much RAM do you have in total? Are you using IDS? Your disk seems rather full as well. I'd recommend switching off /var /tmp MFS option in System: Settings: Misc and rebooting, try to upgrade again. After successful update you can switch the option back on and reboot. RAM : based on dmesg.today : "real memory = 268435456 (256 MB)" / "avail memory = 226619392 (216 MB)"
IDS : I tried but it always fail with "kernel: pid 62902 (suricata), uid 0, was killed: out of swap space"
As far as disk space, root filesystem has 38% free / 645 Mb available which is quite large for what I'm exepcting to do (no squid cache or things like that, just firewall / dchp / dns / ntp and possibly IDS. Suggestion : why not putting the /var/cache/pkg on disk rather than memory to ensure upgrade will work ? (this should not be written frequently ? ).